Illustrations created for SARTO website. 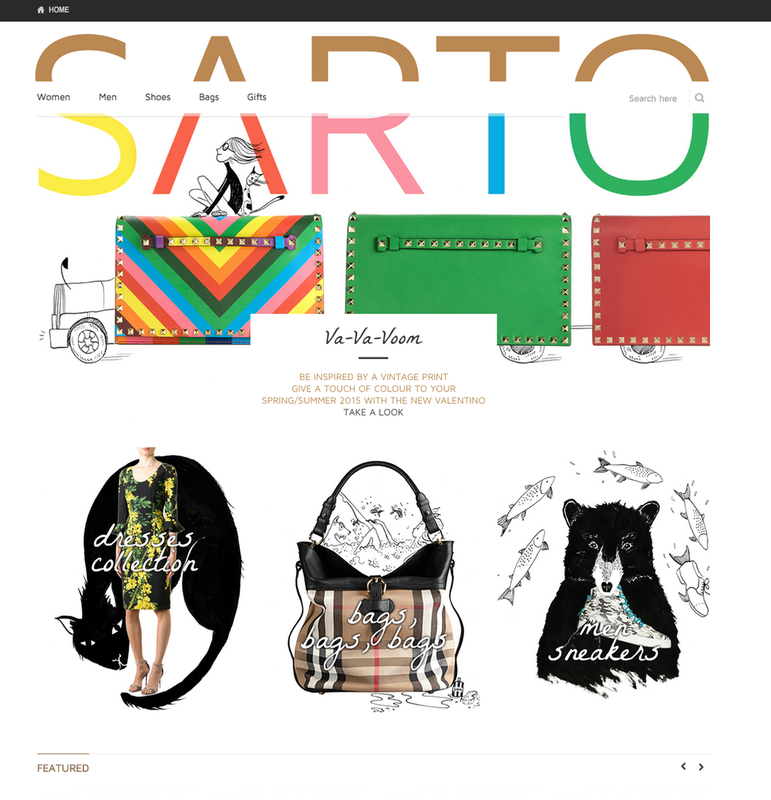 SARTO is a luxury-brand store, and for their website they wanted to add something fun and clever to the items. The brief was to create simple illustrations in black and white ink to not take away the focus from the clothes and accessories. The illustrations were not just meant to be a decoration around the items but also to give them other uses when possible. The Photo compositions were done by the talented SARTO design team.